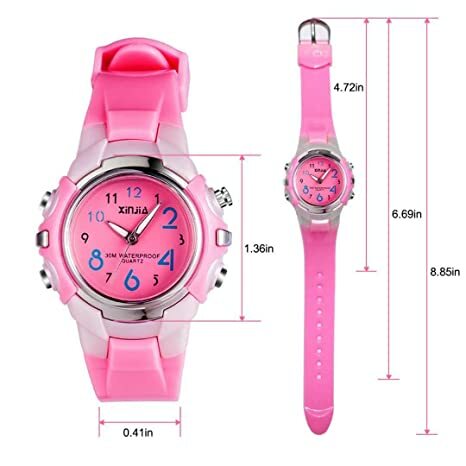 Amazon – Yokgrass Kids Watches Silicone Waterproof Children Analog Watch just $6.99 after Code (reg $11.99)! Amazon has the Yokgrass Kids Watches Silicone Waterproof Children Analog Watch for $11.99 – $5 with promo code A9UH57GN = just $6.99 with FREE Prime shipping or free shipping with $35 purchase! You can buy multiple watches at the discounted price in the SAME transaction!